朱裕振, 周明磊, 高志军, 张心彬. 山东齐河-禹城地区矽卡岩型富铁矿的发现及其意义[J]. 地质通报, 2018, 37(5): 938-944. Zhu Y Z, Zhou M L, Gao Z J, Zhang X B. 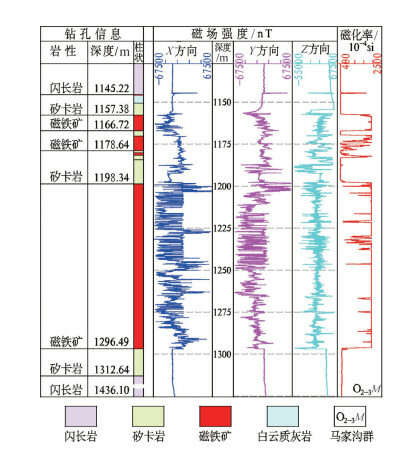 The discovery of the Qihe-Yucheng skarn type rich iron deposit in Shandong and its exploration significance[J]. 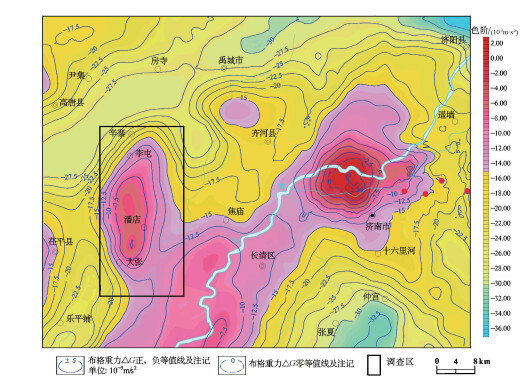 Geological Bulletin of China, 2018, 37(5): 938-944. 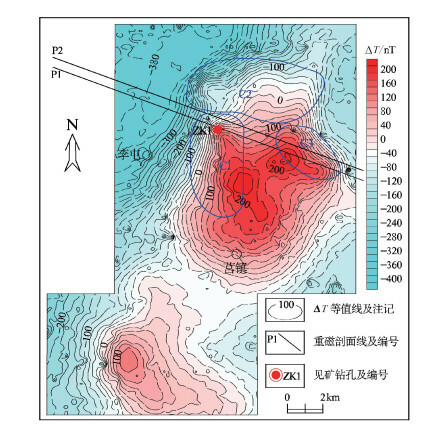 Abstract: The large-scale gravity and magnetic survey was carried out in the area delineated jointly by magnetic anomaly and gravity anomaly in Qihe-Yucheng area of Shandong Province. The rich iron ore deposit with a total thickness of 72.73m and a total iron grade of 56.75% were found for the first time and verified by drilling, which achieved a significant new discovery in geological prospecting. The orebodies which belong to skarn type magnetite were formed in the contact zones between late Yanshanian intermedite-basic magmatic rock and Ordovician limestone. 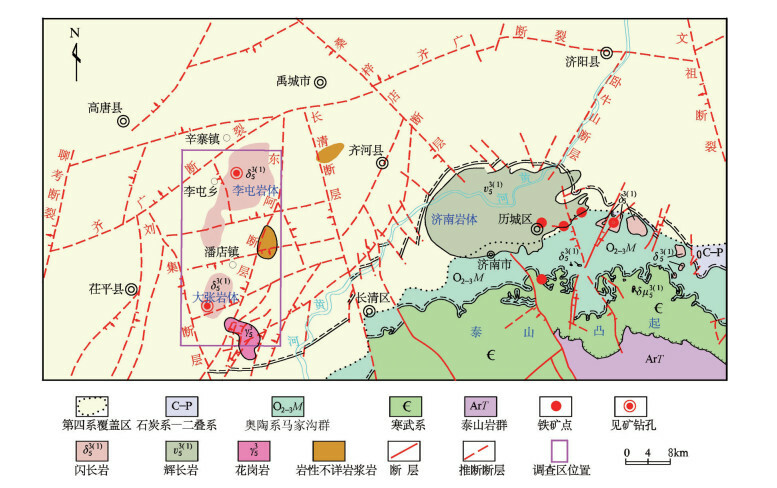 The discovery of the iron ore deposit is one of the most important geological discoveries in recent years in Shandong Province, which opens up a very broad prospect for further development of rich iron ore exploration in Qihe-Yucheng area. 刘士毅. 重磁异常解释中的一些复杂因素与对策[J]. 物探与化探, 2007, 31(5): 386–390. 董英君. 应用重磁方法勘查铁矿的效果[J]. 矿床地质, 2005, 25(3): 21–32. 刘光海. 矿产预测的综合方法及应用实例[M]. 北京: 地质出版社, 1994: 13-25. 赵一鸣. 中国主要富铁矿床类型及地质特征[J]. 矿床地质, 2013, 4: 686–705. 王玉敏, 张超. 山东省铁矿位置与航磁异常关系的数据统计分析[J]. 山东国土资源, 2013, 4: 13–19. 李厚民, 王登红, 李立兴, 等. 中国铁矿成矿规律及重点矿集区资源潜力分析[J]. 中国地质, 2012, 3: 559–580. DOI:10.3969/j.issn.1000-3657.2012.03.001. 郝兴中, 杨毅恒, 李英平, 等. 单县龙王庙铁矿地质地球物理特征及找矿意义[J]. 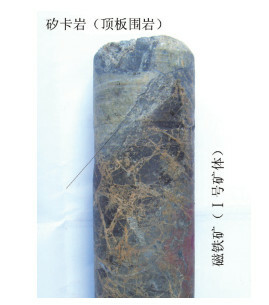 地球物理学进展, 2014, 2: 725–732. DOI:10.6038/pg20140234. 杨昌彬, 宗信德, 卢铁元, 等. 浅析莱芜接触交代-热液铁矿的双交代渗滤作用[J]. 地质找矿论丛, 2006, S1: 85–89. DOI:10.3969/j.issn.1001-1412.2006.z1.021. 费详惠, 张招崇, 韩鎏. 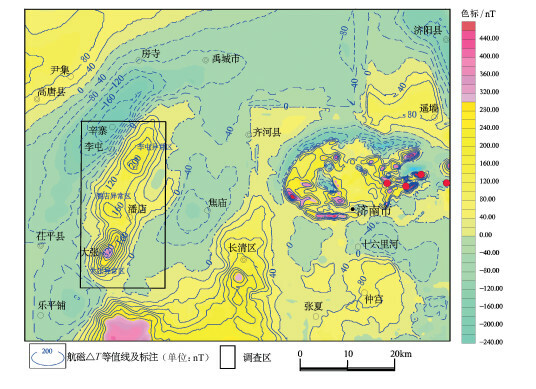 山东张家洼矽卡岩型铁矿矿物学特征及其对成矿环境的指示意义[J]. 中国地质, 2014, 6: 1873–1896. DOI:10.3969/j.issn.1000-3657.2014.06.008. 杨斌, 罗文强, 张尚坤, 等. 济南流海庄铁矿床综合物探特征与分析[J]. 山东国土资源, 2013, 3: 7–12. 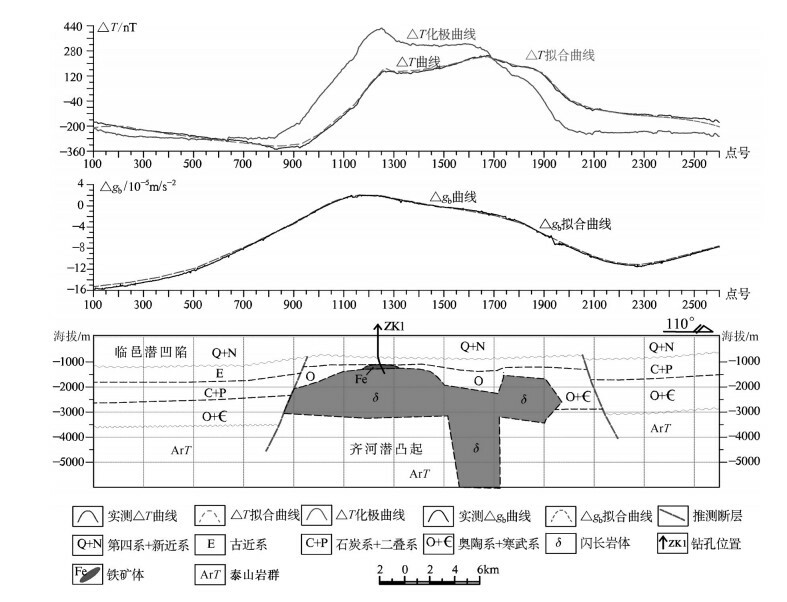 DOI:10.3969/j.issn.1672-6979.2013.03.004. 张兴旺, 牛学忠, 冯鹏. 山东金岭铁矿矿产资源综合开发与利用[J]. 山东冶金, 2015, 1: 40–42.